A dental implant is a tiny titanium rod that is surgically implanted into your jaw bone, to replace the root of a missing tooth. This artificial root is capped with a dental crown to act as the tooth. 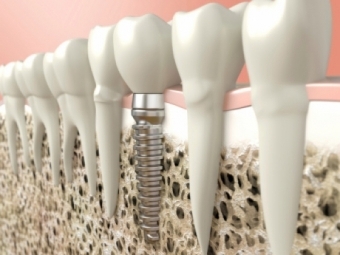 Together, the implant and cap function and feel just like a real tooth. Dental implants are a great option for replacing teeth, but because they require surgery, they should not be entered into lightly. Please contact us today to book a consultation, and find out of dental implants are right for you.